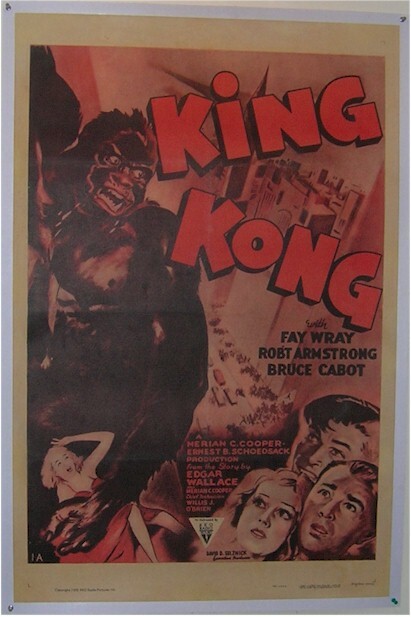 1952 - Original Vintage One Sheet. Stunning graphics. 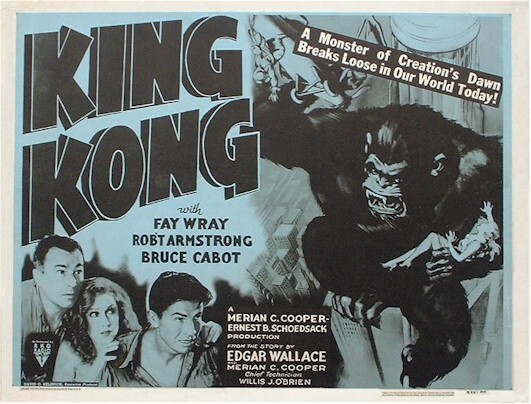 One of the most sought after movie posters as the original one sheet from 1933 sells up to an excess of $200,000! Very good condition. We are in the process of having this vintage treasure professionally linen backed. And for those who are familiar with this process know how incredible the poster looks thereafter. 1952 - An original, theatrical 1952 PAPERBACKED REISSUE Half Sheet (22X28). Spectacular artwork. If you have been collecting movie posters for even a short period of time then you know this is, along with Dracula and Frankenstein, the most coveted title of all movie posters. The 1933 one sheet sells for up to over $200,000! A very RARE title to come across even in re-releases. Minor touch up but looks spectacular! Excellent-near mint condition!